A visit to Bangkok is a journey into one of the most celebrated shopping capitals of the entire world. 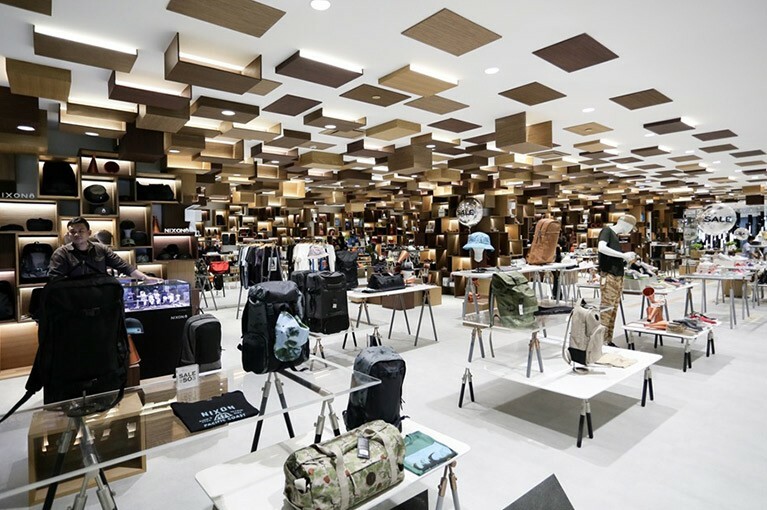 You will find that visitors flock to the city hailing from every continent and region around the globe, and many travel to Bangkok for nothing else than shopping! With fabulous deals and a seemingly unlimited supply of fashions and products, this is definitely the place to be if that old shopping bug is keeping you awake and night. If Bangkok can’t satisfy you, nowhere will! One of the things that makes shopping in Thailand’s capital such a fascinating experience is the wide range of venues available. 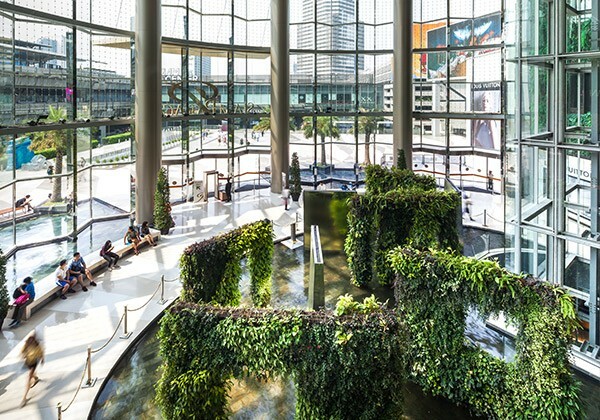 A visitor or even a resident in the City of Angels who is looking for the best shopping area in Bangkok is presented with an intriguing variety of places to explore, from glitzy and modern shopping malls to open air night markets. Shopping malls in Bangkok really go all-out, and it may be more accurate to call them “mega malls”. 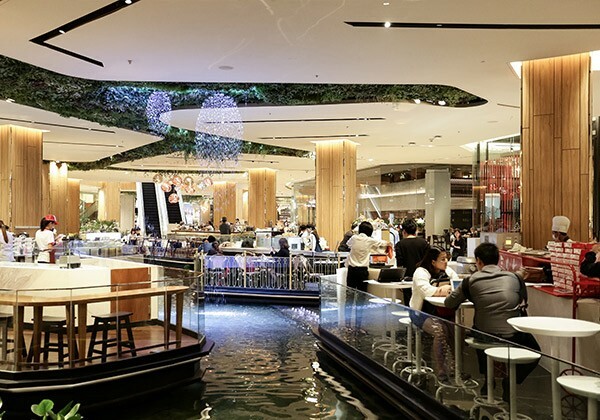 With cool air-conditioning, numerous floors and packed with every kind of shop and restaurant, most of them also include a cinema and perhaps a bowling alley or some other entertainment venue. 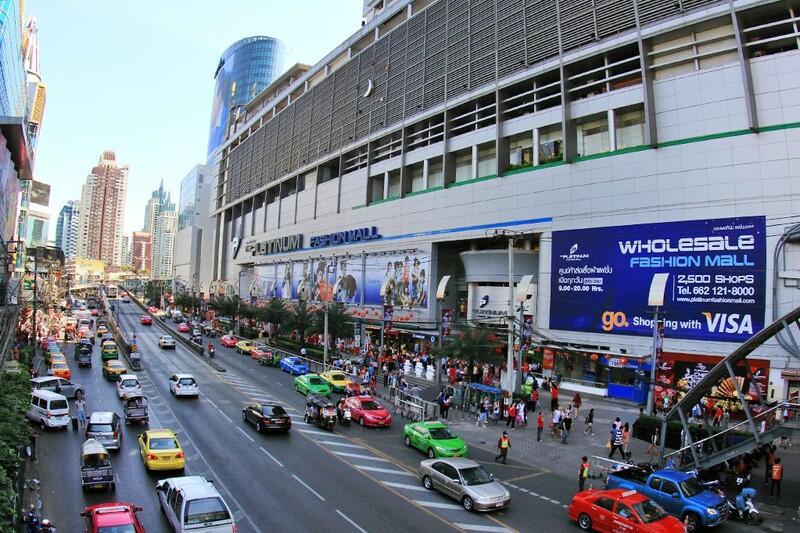 The Siam area of Bangkok is perhaps the most well known for malls. 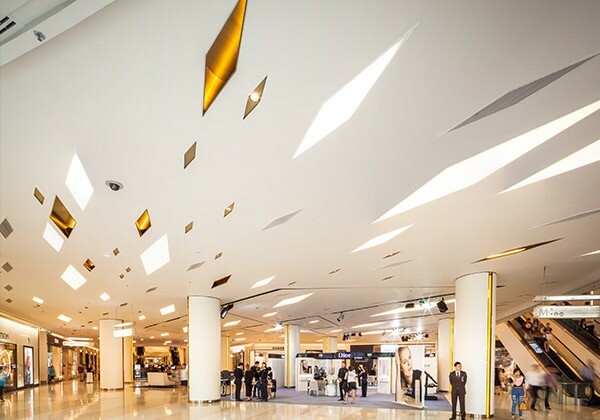 This is actually the country’s most high-end shopping zone and you can expect to find some very ritzy brand names here. To the well-heeled, this is definitely the best shopping area in Bangkok. Of course, the convenience of it surrounding the Siam station of the BTS Skytrain also cannot be overlooked. You have the haute Paragon shopping center, which caters to the higher levels of merchandise of all kinds. An amazing food court is on the bottom level, with a great selection of fine cuisines. 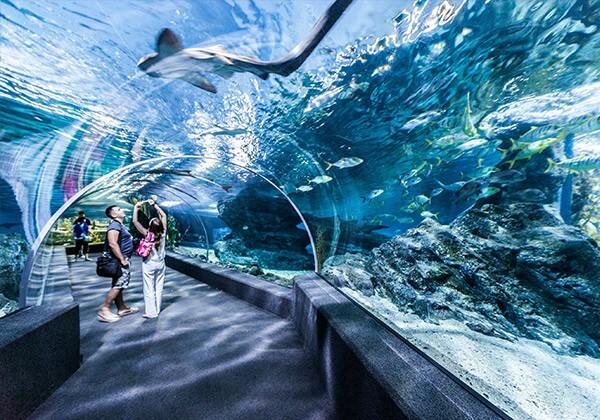 Another treat at Paragon is its easy access to Siam Ocean World, which is more or less below it, and offers an amazing and educational view of the underwater universe. 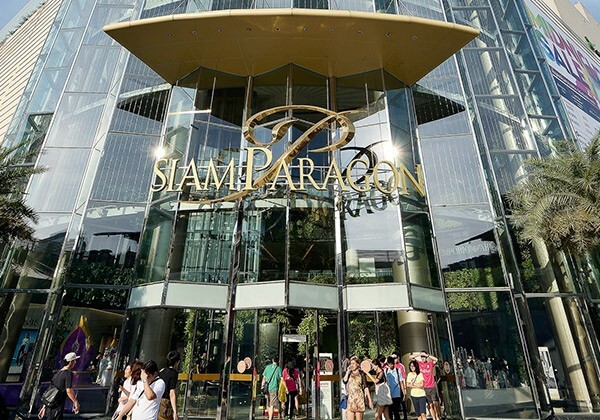 In Siam, there is also the exciting Siam Discovery Mall, which is known for its fascinating displays. Many of them are interactive and they are all extremely innovative. 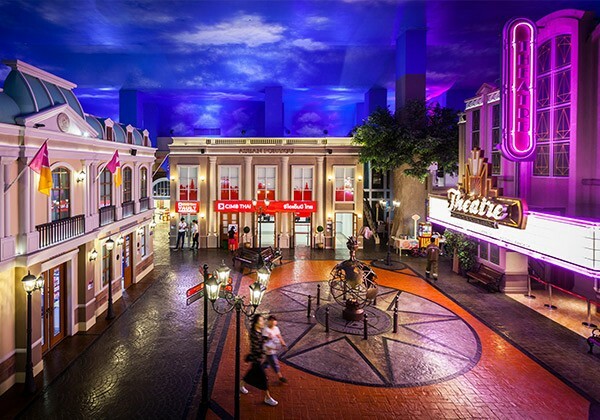 The complex also hosts Madame Tussaud’s Wax Museum, the Bangkok branch, which makes for an excellent side trip to enhance your day of shopping. Centerpoint is another very likely place to visit in the Siam area. It is a few rows of shops catering to the fashions and trends of the young and stylish. You can also find numerous outdoor stalls around this area with various doodads for sale and extremely low prices. 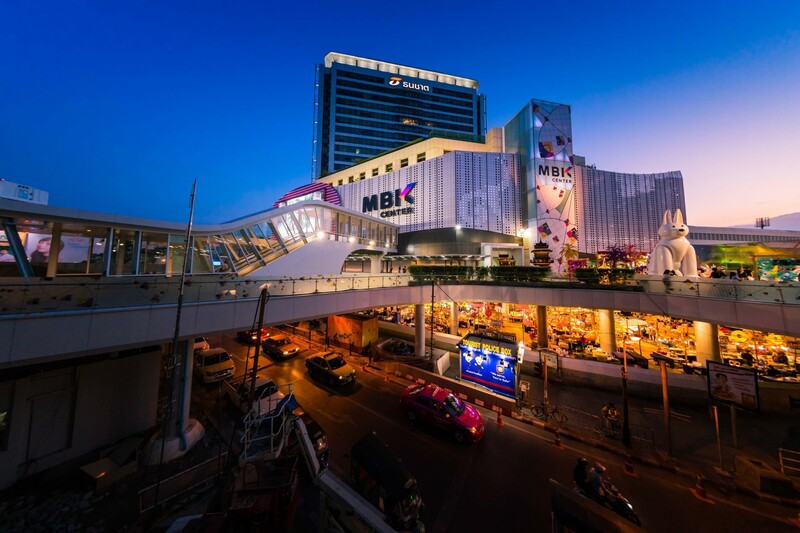 To top off a visit to the Siam Area, you will also have to check out the famous MBK Center. 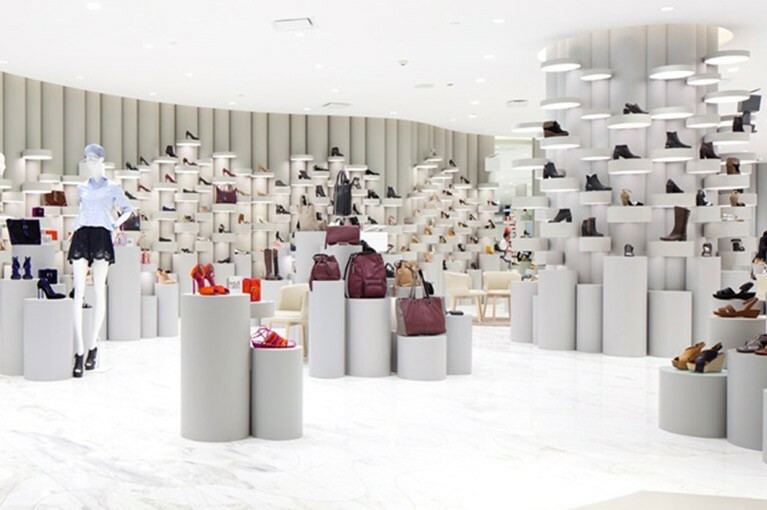 Its tremendous size makes it unmistakable, and it differs from most of the other malls in the area, being much more oriented toward bargain prices. Packed with good deals on literally everything, it is also worth knowing that the third floor is devoted to electronics, such as mobile phones and other paraphernalia of the internet age. MBK, also called by its extended name Mahboonkrong, is more easily accessed by riding the BTS Skytrain to the National Stadium station rather than the Siam station. Another good thing about MBK is that it is a short walk from VIE Hotel Bangkok, MGallery Hotel Collection. And if bargains are your thing, the Pratunam District is actually just around the corner from VIE Hotel Bangkok. Many would agree that Pratunam is hands down the best shopping area in Bangkok, and their reasoning is sound and practical. This is the ultimate place to meander around sorting through endless rows of absolutely well priced items, especially clothing, which is Pratunam’s forte. Actually, you can find much more than clothing here, but this area is doubtless a haven for clothing shopping and a paradise particularly for ladies of all ages who love expanding their wardrobes! Pratunam is also home to Baiyoke Tower, which was until last year the tallest structure in the city of Bangkok. A popular restaurant is high up on its 76th floor, offering a buffet and even entertainment such as magicians and clowns who wander from table to table. Baiyoke also offers a viewing floor which makes the entire panorama of the Bangkok skyline an incredible sight. Naturally, Pratunam also has a decent selection of little eateries around its numerous shops, as well as quite a few tiny traditional Thai massage shops, which are excellent for a quick foot massage while you are out and indulging your shopping appetite. 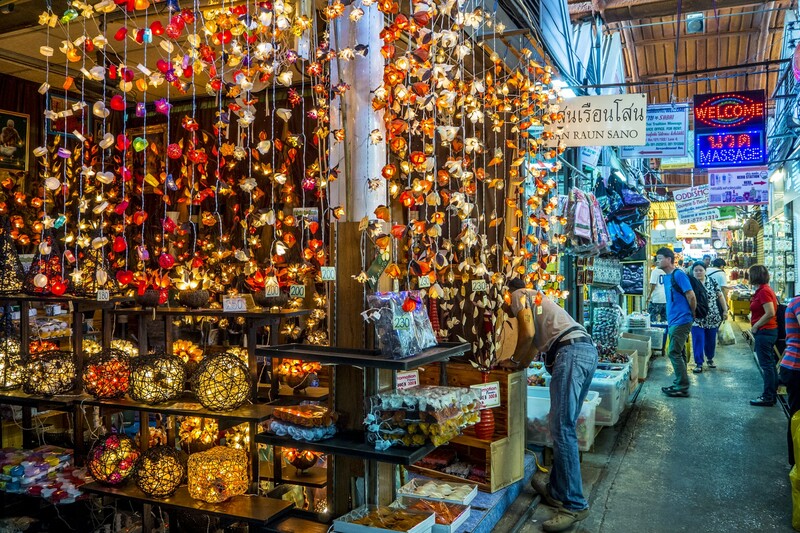 The only drawback about Pratunam is that it does require a lot of time out of doors, so be sure to dress lightly and comfortably for this excursion.Of course, one of the many things Bangkok is truly known for is its outdoor markets. Sheerly for the unique experience of it, many would call Chatuchak Weekend Market the king of all outdoor markets in the city of Bangkok, or the country of Thailand, and likely place it high on the list for being the best shopping area of Bangkok. 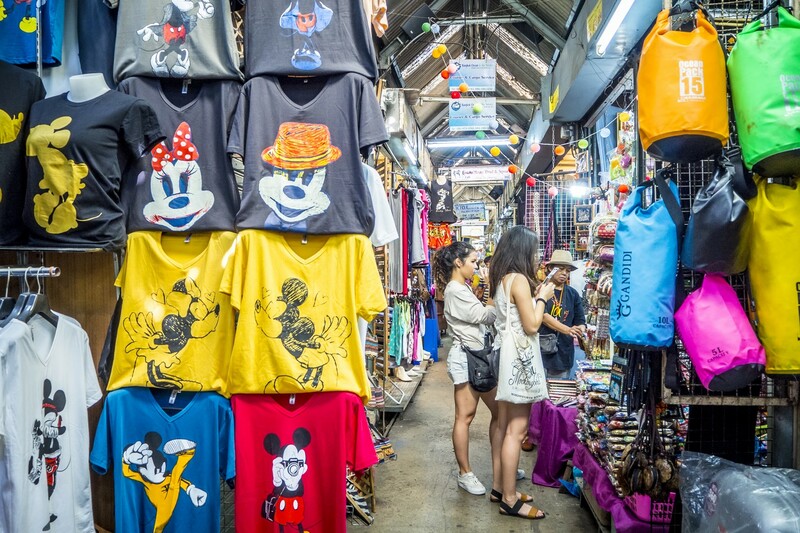 Also known as JJ Market, Chatuchak is famous for offering practically anything for sale somewhere in its uncountable allies. Right off of the BTS Skytrain Mochit station, located on 35 acres (over 14 hectares, and 68 rai, in the Thai system of measuring land area) the incredibly diverse variety of products here in Chatuchak is astounding and there is probably no human way it could all be seen in just one day. It is said that a normal weekend sees around 200,000 shoppers wandering through, looking for a deal. 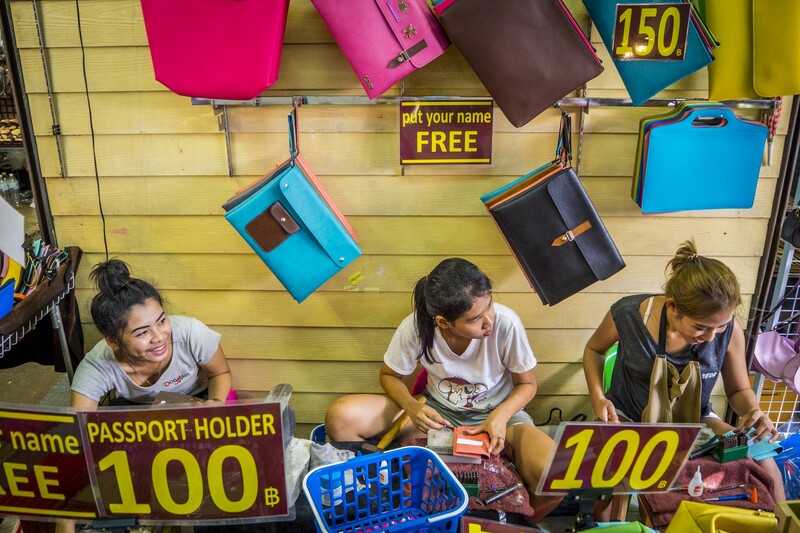 A list of all the products for sale in the Chatuchak Weekend Market might be just as impossible to compile. 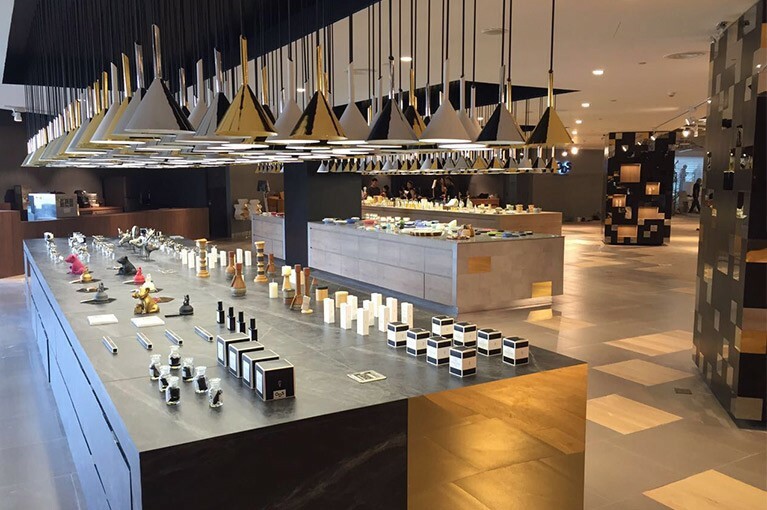 However, amidst the market’s 27 different sections (in which you might find sub-sections of the same category of products as you just did in another section), be prepared for a little chaos but a lot of fun discovering what is on offer. There is certainly every kind of apparel, both second-hand and new, as well as heaps of handcrafts, ceramics, furniture, plants and gardening equipment and tools, art, pets and pet accessories, books, antiques and collectables. But with all these incredible places to visit, some experienced visitors still say that the best shopping area of Bangkok can be found by simply walking out of the hotel and strolling the streets of the world’s most exciting city. You’re bound to find something interesting at a good bargain whichever direction you go!